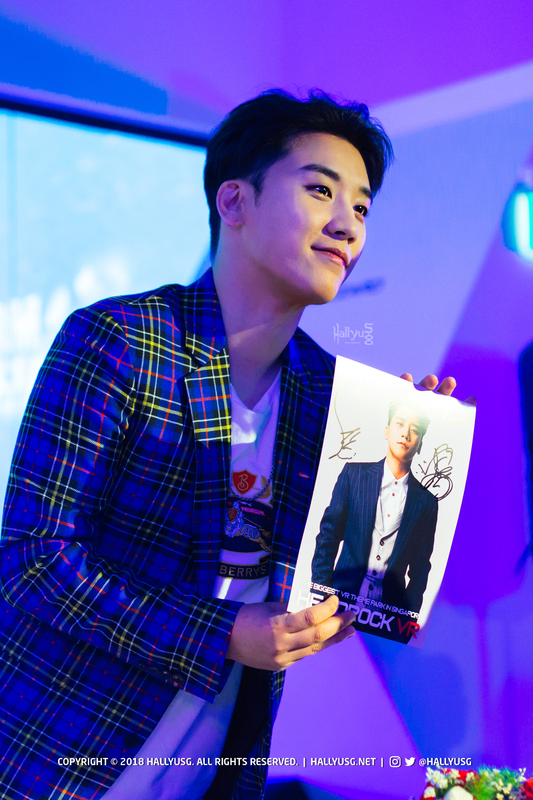 To commemorate the opening of his latest business venture, the youngest member of BIGBANG is in town where he met the media yesterday (15 Nov) at the exclusive preview session of HeadRock VR, an all-new VR theme park in Singapore. Known for his strong business acumen and passion for all things fun, it comes as no surprise that Seungri is now dabbling in the VR theme park business too. Adding on to his never-ending list of businesses, HeadRock VR is the latest attraction to hit Singapore! 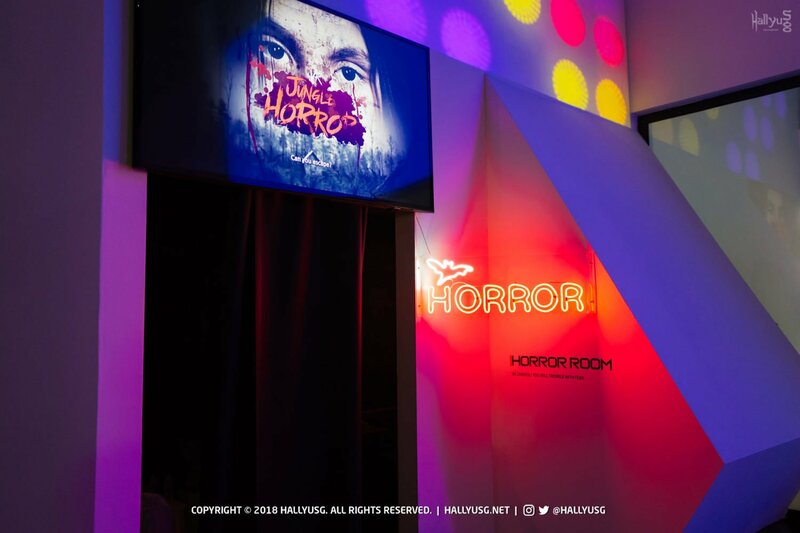 Situated in the Resorts World Sentosa, this virtual reality theme park is filled with various state-of-the-art gadgets, aimed to offer guests a chance to experience “a world of adventure at their doorstep”. With 11 different rides for people of all ages above 6 to choose from, this brand new theme park hopes that guests will have an adventure of a lifetime. 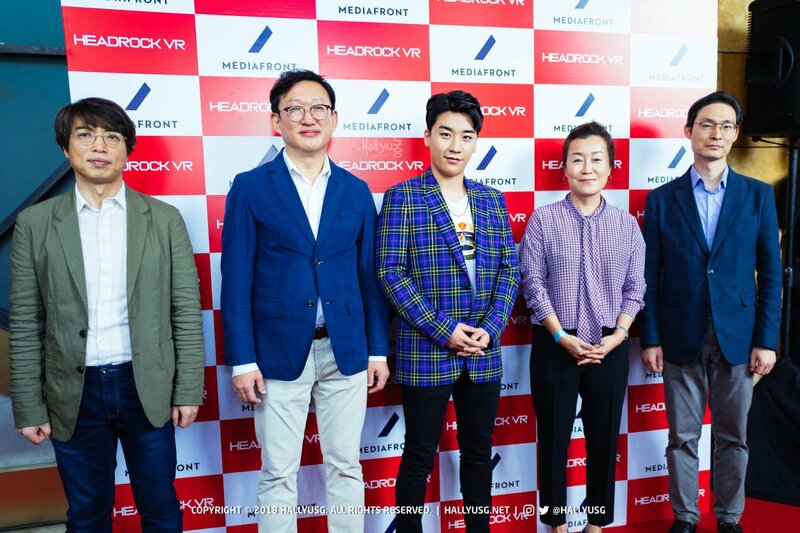 Along with the newly-appointed Creative Director & Spokesperson Seungri, the head honcho of Mediafront and the brains behind HeadRock VR, CEO Park Hong Que, was also present to grace the theme park’s official opening. Why was Singapore chosen to be at the forefront of this endeavor? 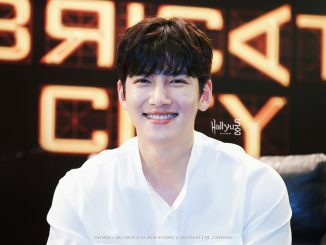 He mentioned that it was because the country was the heart of South East Asia and the bridge between Korea and other continents such as Europe and North East Asia. 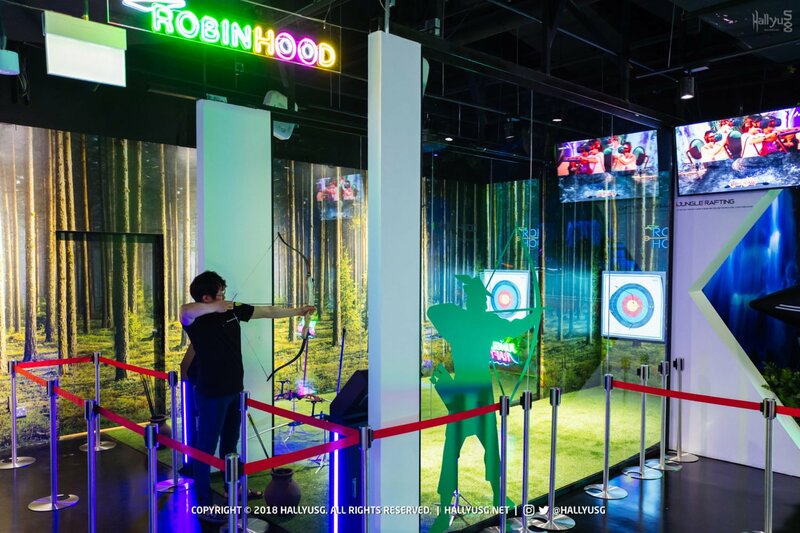 With the aim of opening 20 outlets worldwide by 2020, CEO Park envisions HeadRock VR to be loved by the citizens and to be their go-to place for all things fun and entertaining. And of course, such an exciting business opportunity would definitely not slip past Seungri’s sharp eyes. When asked why he decided to join hands with HeadRock VR, he explained that he sees potential in VR being a global phenomenon. 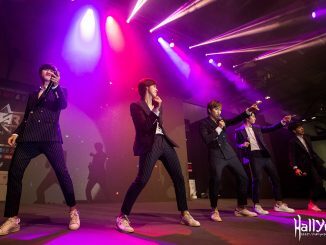 Moving forward, he hopes to be able to collaborate with other K-Pop idols to bring this attraction to even further heights. 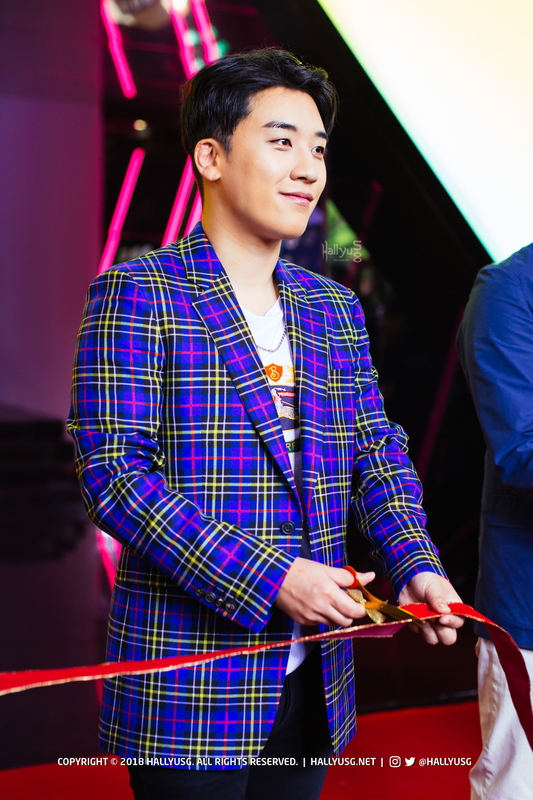 As the opening ceremony progressed, it was very evident that this venture matched Seungri’s passion for all things fun and exciting, truly a match made in Heaven. At the press conference, he revealed that if he could design a VR game based on any BIGBANG member, it would be an RPG (Role Playing Game) based on G-Dragon! But surprisingly, when asked who he would bring to HeadRock VR if he had the chance to, Seungri confessed that he would bring Daesung along because he is the only one among BIGBANG to play mobile games while on the go. 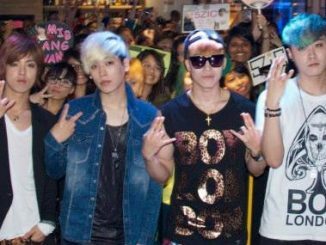 As for the other members, he revealed that they were not a fan of games or sports at all (In Seungri’s words, a total artiste!). 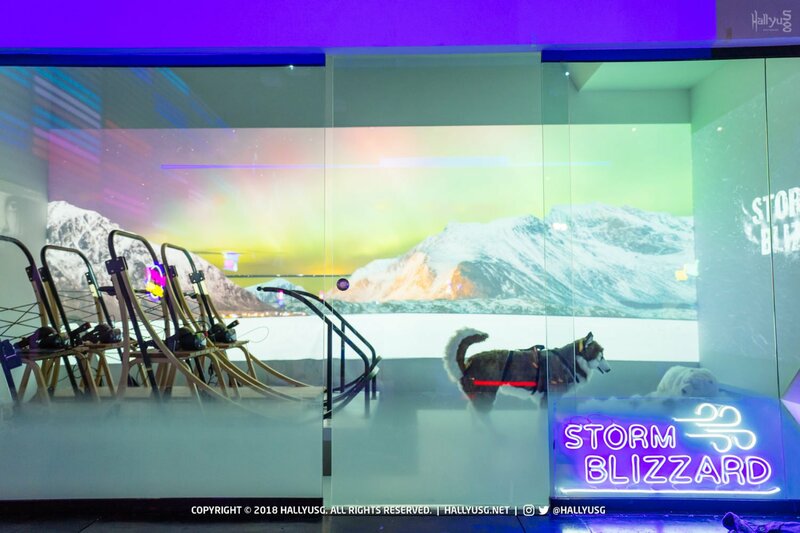 If there’s a ride he’s looking forward to experiencing at HeadRock VR, it would have to be the world’s first Storm Blizzard ride. Offering players a respite in the humidity, this ride allows guests to experience the cool effects of wind along with the excitement of riding a dog sled in the snowy storm blizzard. With so many exhilarating rides to choose from and Seungri heading HeadRock VR, this theme park will officially open its doors to the public from 17 November 2018 (Saturday).